You can add one or more watermarks, and have them displayed all the time throughout the video stream or only appear periodically. Automated watermark scaling makes your mark appear of the same size regardless of video resolution, while convenient batch processing allows applying the watermark to all your videos with just a few clicks. 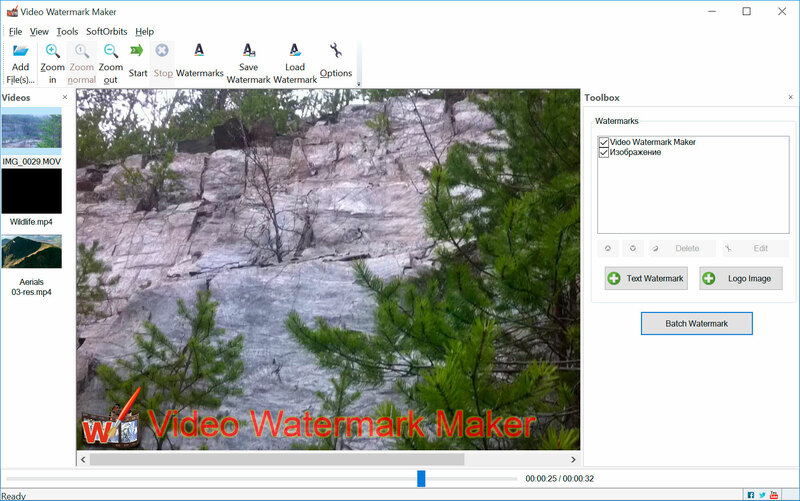 Supporting numerous advanced watermarking features, this video watermark software is a truly indispensable tool for anyone doing video publishing or editing. Video Watermark Maker allows you protecting and branding your video files without much extra effort. 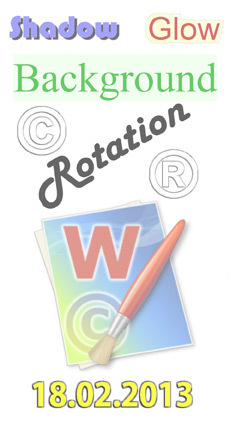 You can use any image, text, or combination of both to create your unique logo or watermark. Choose where in your image the watermark should appear, select its transparency level, save your work and apply the newly created watermark to all your videos in a single batch job! You can make your digital watermark show up all the time while your video plays back, or specify the exact time intervals the logo should hide or appear. This allows producing videos with full immersion effect without compromising your copyright. Do you publish your videos on YouTube? Copyright theft can and does happen over there. Protect your rights by embedding a custom watermark into your YouTube videos! Video Watermark Maker makes the whole process easy and fast, delivering best-in-class performance. Embed watermarks containing any combination of images and text objects! You can rotate images to an arbitrary angle, apply shadow, glow and color toning effects to make your digital watermark match your style. For text watermarks you can customize fonts, colors and add all the special effects available for the images. You can use multiple watermarks in a single video by embedding multiple layers with custom transparency. Processing a bunch of images in various formats and resolutions? Not a problem if you're using Video Watermark Maker! The tool will recognize videos encoded with a wide range of codecs in AVI, MP4, MP2, SVCD, DVD, FLV, M2V, 3GP, MOV, SWF, WMV, MKV, and RM10 formats, accommodating the size and resolution of the watermark to the size of each video. You can also automate using Video Watermark Maker from third-party programs by making use of the command line. Video Watermark Maker supports command line parameters, allowing for fully automated batch operation with no user input. Video streams may come from a variety of sources. Full HD, 720p or VGA-sized videos optimized for mobile devices - Video Watermark Maker serves them all with a single watermark. With many existing video watermarking applications using the same watermark image in videos of different resolutions will result in the logo appearing larger or smaller - depending on how high resolution the video stream is. This is not the case with Video Watermark Maker! The tool automatically resizes watermarks to ensure that the mark is of the same aVWMrent size throughout your videos.